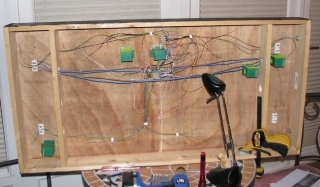 I have installed all the Tortoise motors on board C, the first industrial switching module, apart from one as I am short of a few parts for the last motor (actuating wire & slide) – I think these must be at the club…I’ll check tomorrow night. 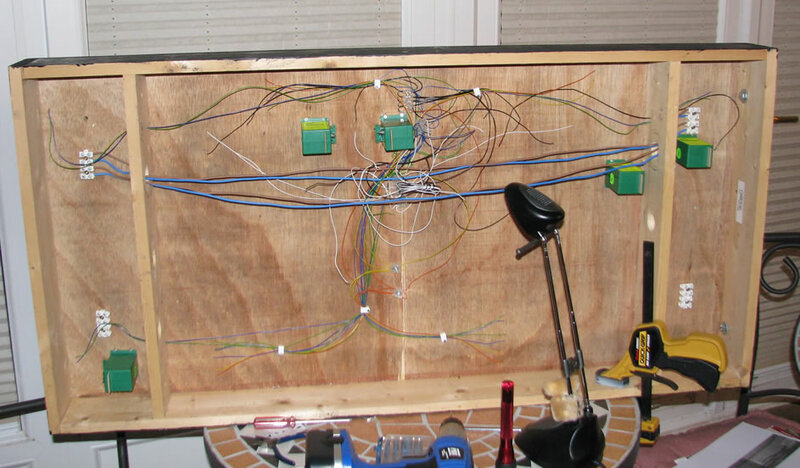 This is the current state of the underside of Board C.Â This is just to show you the wiring and Tortoise motors at the moment…this will look dramatically different next week!Â I have worked out how many detection blocks I need and also that I need two DAC10’s to control the points.Â I will be getting these in the next few weeks. In the meantime I will get all the wiring ready, soldered to the tag strips and all the Tortoise motors wired up ready to hook up to the DAC10’s.